Always wanted to try a bold hair colour, a perm, or a haircut but never dared to take that leap? Besides symbolising new beginnings, a fresh hairstyle can do wonders for your look and confidence. So, say goodbye to your long and flat tresses, or frizzy, untamed mane. It’s time to breathe new life into your locks as you rock your 2019 hair goals! Here are some simple but chic styles you can consider, as well as our picks on haircare products! A ‘Double C perm’ and haircut by Pro Trim (V) Hair Studio stylist, Evan. If you’ve had straight hair your whole life, it’s probably time to change up your hairstyle. Apart from playing with length and layering, try loose curls or soft waves for a more feminine touch. 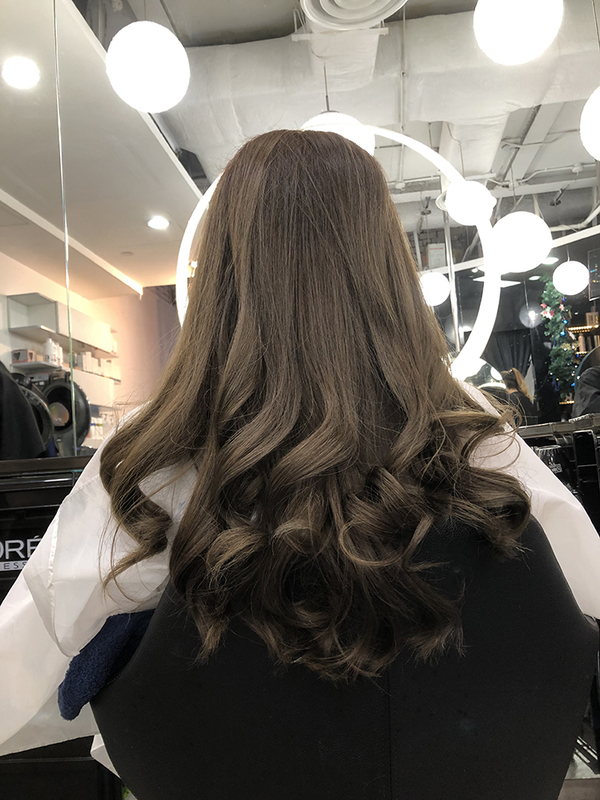 Check out ‘C’ or ‘S’ curls, natural looking waves starting from the bottom of the hair for a subtle touch – so you don’t have to worry about ending up with an over-the-top, frizzy, 90s hairdo! Check out the ‘Double C perm’ and big-wave perm at Pro Trim (V) Hair Studio. Pro Trim (V) Hair Studio is located at Causeway Point. A short bob with the C perm by Pro Trim (V) Hair Studio stylist, Joel. Get a stylish bob at Pro Trim (V) Hair Studio or X-Zen Hair Salon. X-Zen Hair Salon is located at The Centrepoint. If you think that keeping bangs is a tough look to pull off, we feel you. As much as we want to look younger with a fresh hairstyle, no one wants to be overly kawaii and be mistaken for a schoolgirl. But good news – the bangs look that’s trending now isn’t of the thick, doll-like variety. Think wispy, fringes for an effortless, sultry edge. Falling just below your eyebrows, they can be swept to the side or parted in the middle for a soft, curtain-like effect. For a luscious and natural look, go for warmer tones like this chestnut brown by X-Zen Salon. The right hair colour will do wonders to enhance your natural skin tone and help you look fresh. If you haven't made a habit to maintain your dyed locks - yes, we're looking at you and your unevenly grown out hair roots, so listen up! The balayage technique gives hair a full look and shiny effect. De Arte Hair Studio’s Director, Dylan Goh, advises to go for brown or warm, smoky tones this season. Mark from X-Zen Hair Salon also adds that a soft, caramel coloured Balayage can give dimension to dark, Asian hair colour. Balayage is a technique for highlighting hair where the dye is painted on to create a graduated, natural looking effect. 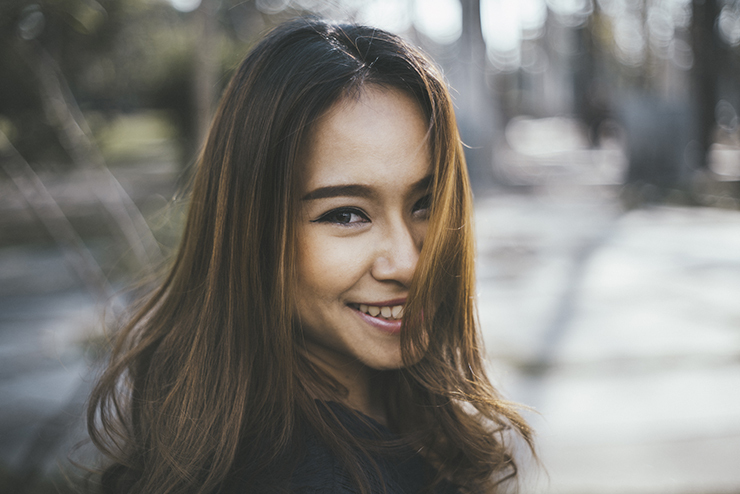 Similarly, Aletheia Ng, a stylist from Pro Trim (V) Hair Studio, also adds that colouring trends will be focused on melted-roots painting where by new roots that grow out can naturally blend into the hair’s dye colours – this means that you won’t need to rush to a salon the moment your roots start growing out! For a fresh new hair colour, head to De Arte Hair Studio, Pro Trim (V) Hair Studio or X-Zen Hair Salon. De Arte Hair Studio is located at Northpoint City. Say goodbye to bad hair days with easy-to-use haircare products. 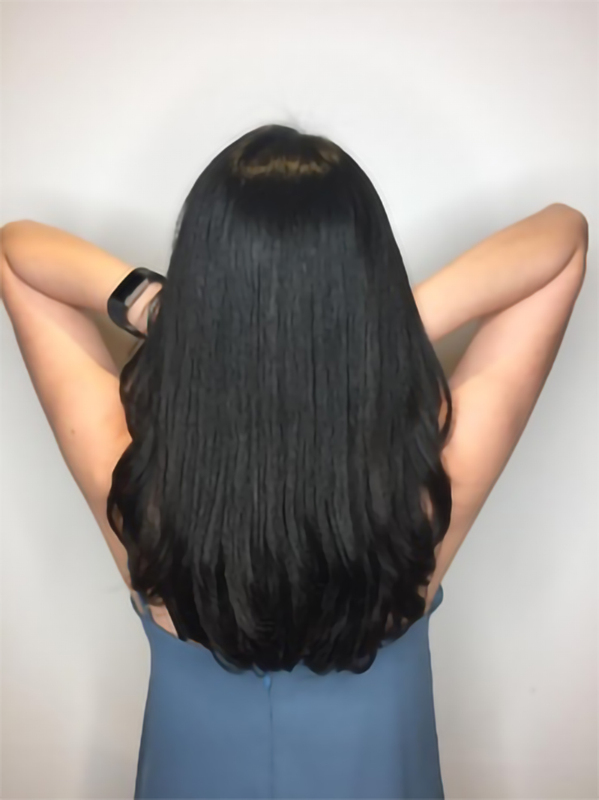 Getting a new hairstyle is always fun and exciting, but giving your locks that constant, fresh-from-the-salon shine in the following months may be the tricky part. How do you get those newly, luscious waves to remain bouncy, or make sure that your dyed hair doesn’t turn frizzy? Of course, the best way to maintain beautiful and healthy locks is to leave your hair in the hands of the pros. Ideally, going for a hair treatment every 3 to 6 months (or the recommended interval by your stylist) will help you maintain a healthy scalp, as well as provide proper maintenance for your hairstyle and hair texture. Dr JR Inkarami hair treatment, suitable for extremely dry hair caused by excessive styling or other chemicals from perming, dying or rebonding. Along with home-care treatment, this treatment lasts for at least a month. Ford's Aquacouture hair treatment, suitable for dry and damaged hair. Along with home-care treatment, this treatment lasts for at least a month. Nakano's Powerdict 2-step hair treatment, suitable for slightly damaged hair. This treatment lasts for 2 weeks. Incorporate fuss-free hair care into your daily beauty routine. With active anti-oxidant and emollient ingredients, this serum that’s suitable for all kinds of hair will give your locks an ultimate shine every day. Simply apply one pump of the product on clean, damp hair. If you want to try this out, you're in luck! Snag the MIYAKI Emollient Serum for free* (worth $38) when you present this blog post in-store at De Arte Hair Studio, Northpoint City! *Valid till 2 Feb 2019, and only applicable for customers doing hair colour, treatment, perming or straightening services. Limited to one customer per redemption. This cute, bright pink bottle contains product that truly packs a punch. With a gentle texture that’s not oily, this leave-in serum penetrates deep into the hair, restoring moisture to hair that’s been permed, rebonded or coloured. Simply rub in a small amount into your hair before you sleep and wake up to softer hair the next day! Get the BeatuyLabo Hair Serum Moisture from Watsons. Watsons is located at Anchorpoint, Causeway Point, Changi City Point, Eastpoint Mall, Northpoint City, The Centrepoint, Waterway Point and YewTee Point. Maintain the shape and bounce of your new curls with this deep conditioning treatment. Complete with the memory curl complex to help prevent frizz, this product will help to reduce split ends and give your curls extra bounce and shine. Pick up the Hask Coconut Milk & Honey Curl Care at Guardian Health & Beauty. Guardian Health & Beauty is located at Causeway Point, Eastpoint Mall, Northpoint City, The Centrepoint, and Waterway Point. 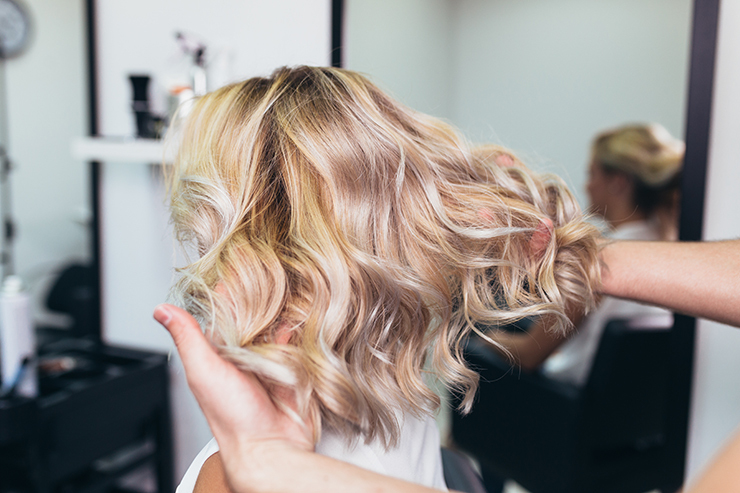 If your hair’s starting to feel extra dry after a beautiful dye job, there’s no reason to regret your hair makeover. Simply grab a tub of this hair mask and you’re all set for a soft, silky mane! Containing the purest essence of geranium petals, along with Geranium oil, soya oil and coconut oil, the natural goodness from this product will thoroughly hydrate and revive the radiance of coloured hair. The best part? It is silicon and paraben free. Work in a knob of this white, fluid gel into your hair and rinse off after about three minutes. It’s fresh, floral aroma is also a huge plus! Get the L'Oreal Botanicals Geranium Radiance Remedy Hair Mask at Guardian Health & Beauty. • De Sand Salon at Anchorpoint. • NK Hairworks at Anchorpoint. • 99 Per Cent Hair Studio at Bedok Point. • Jean Yip Hair Dressing at Causeway Point and Northpoint City. • Kimage at Northpoint City. • Hair Inn at The Centrepoint. • Jantzen Salon at The Centrepoint and Causeway Point. • Crescendo Hairdressing at Waterway Point and Changi City Point. • Apgujeong Hair Studio at Waterway Point. • JS Hair Studio at YewTee Point. • Zenn Salon at YewTee Point. We hope these looks have inspired you to change up that safe hairstyle you’ve been keeping for years. Don’t be afraid to try something new and we’re sure you’ll rock your new look!